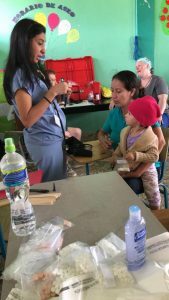 A team of 40 volunteers from the USA traveled to Tegucigalpa and joined up with 20 Hondurans to provide medical and dental care to 15 rural villages in the district of El Paraiso, Honduras July 12-19. The team consisted of 3 physicians, 4 advanced practice nurses and one pharmacist from the US along with 5 Honduran doctors and 3 Honduran dentists. We had 6 RNs from the US, ten bilingual translators from the US and 12 Honduran translators. 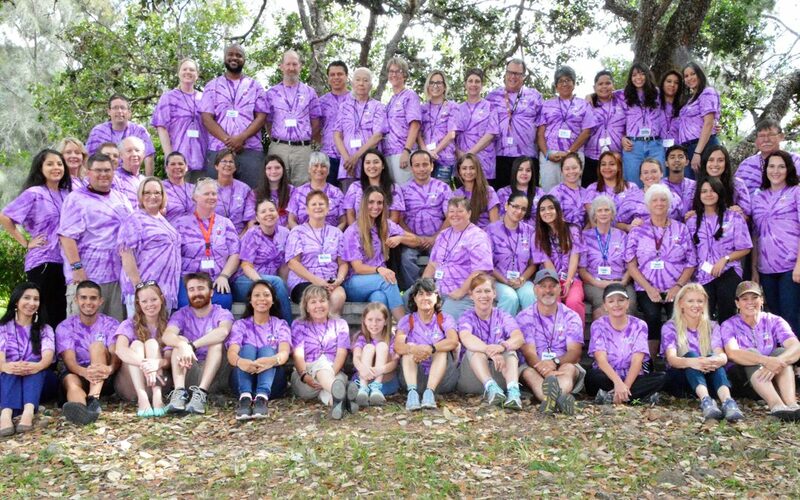 Volunteers with organizational skills, musical talent, a passion for working with children, and many other attributes rounded out the team. Beginning in January, the Brigadiers met almost monthly to plan the brigade trip. Four packing parties were held in Killeen and in Round Rock, Texas to fill hygiene packs with donated supplies such as toothpaste, toothbrushes, soaps, shampoos, lotions and other items. As a service project, a sticker with a bible verse was applied to the zip lock bags by elementary school children. Close to 2000 packs were assembled over the spring. Over the course of the spring we also packed hundreds of thousands of pills into the proper dosage bags, with labels printed in Spanish. Supplies for the treatment nurses and dentists were collected and packed. We couldn’t have done it without the scores of volunteers who joined us! Participating in packing parties is a great way to help with mission work, without actually going on the trip. This year we had a wonderful memorial to Nellie Symm-Gruender, a past volunteer who passed away in 2016. We took 600 pairs of good quality reading glasses, many with cases. These came with a page of different font size text with which to test vision. The reading was John 3:16, in English and in Spanish, a perfect tribute to Nellie. Nellie had a passion for providing reading glasses on our medical brigades and we were delighted to provide these in her memory this year. We had 3 teams this year, each with about 20 members. Each team traveled from our home base at the Montana Clara Maria Retreat Center to a different village each day. We provided a medical brigade in 15 different villages over 5 days, plus a clinic the last evening at the retreat center for Montana Clara Maria employees and families. The travel was in 4-wheel drive pick up trucks, and a school bus, over some challenging mountain roads. Yet the roads were in better condition than years past. In total we saw 1750 medical patients and about 180 dental patients. 2000 bottles of cough syrup, 120,000 doses of acetaminophen, 145,000 vitamin tablets and 6000 doses of parasite medicine were distributed, along with medicines for diabetes, hypertension, infections, and other conditions. Rice and beans were given to those who were impoverished and malnourished. It was extremely gratifying to work with the Honduran doctors who were all young women, eager and enthusiastic about their work. They were so happy to be able to not just see the patients in the rural environment, but to bring them the medicines that they needed. It is a constant frustration to them that their local clinics frequently lack even the most basic medicines. 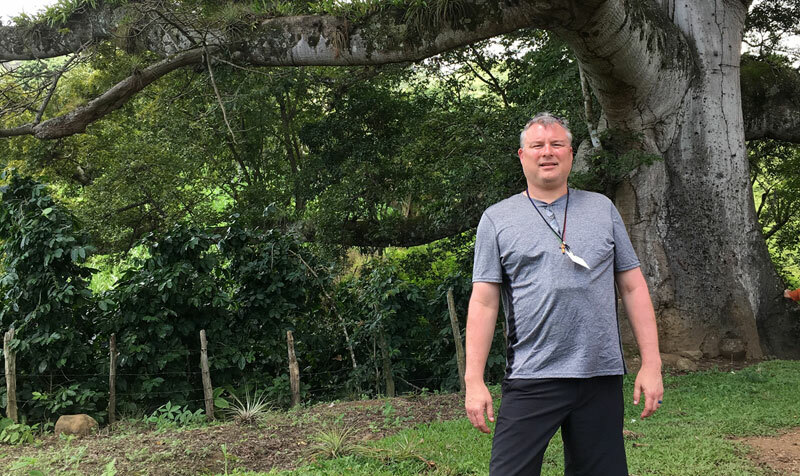 The providers also enjoyed learning from each other—the more seasoned physicians from the US had wisdom and experience to share, and the Honduran doctors could educate the American team about conditions we had only ever read about. 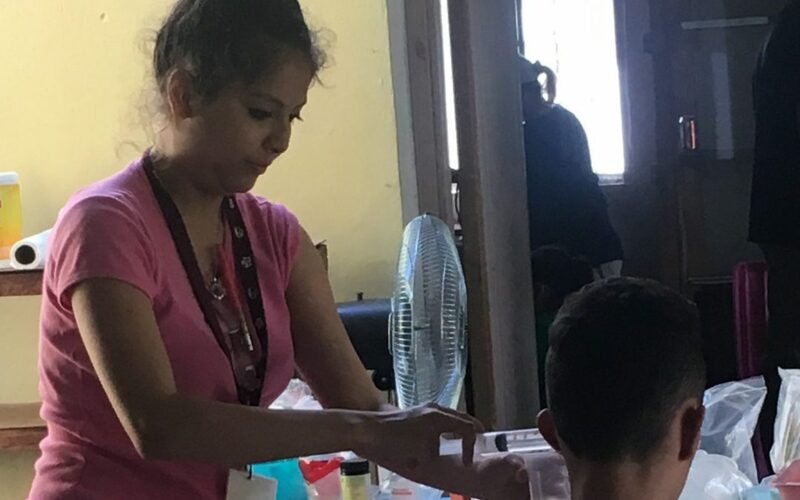 The Honduran doctors were also invaluable in helping navigate the public health system when a referral to the hospital was needed, and in helping us understand what medicines a patient was taking. 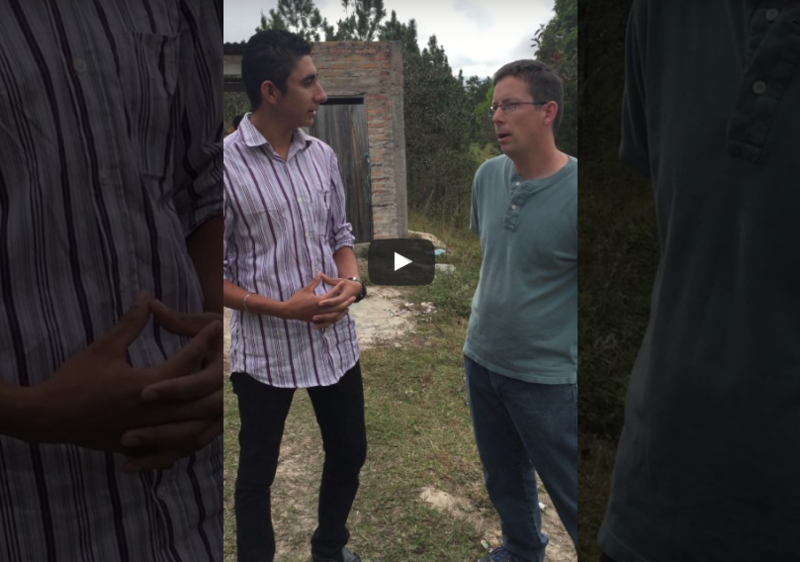 Equally gratifying was working with our young adult Honduran translators. 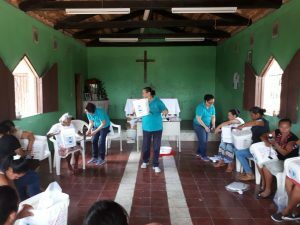 Two were graduates from the Leadership School, a non-profit dedicated to advancing the education of poor Honduran women, training them to be teachers or entrepreneurs. Other translators were college students or graduates who want to help serve their rural poor. One was from a very poor village that we serve. He was a recipient of a scholarship from HGW, which allowed him to complete high school. He is now in college studying to be an English teacher. And two were medical students who were so eager to learn and practice their medical history taking skills. Getting to teach them some medicine, while using their translation skills was such a win-win! God’s spirit was so evident among all these translators. The energy and joy of life in spite of hardships and challenges was infectious. A highlight of the trip was the joint communion service at the end of the week with the Honduran pastoral leaders and their musicians. A joyful noise was made unto the Lord! During the usual sermon time, stories about the impact the week had were shared in both languages. With the ratio of about 2/3 from the US and 1/3 from Honduras, we are really functioning as one unit, and are better able to communicate with each other due to the high number of bilingual participants. There has been a lot of continuity in the Honduran team over the last few years, along with new and enthusiastic members; true friendships are being forged. It is evident that HGW is working even more toward equipping the Hondurans to care for their own. 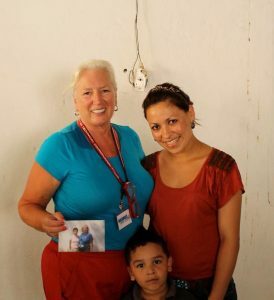 During the clinic days our founders, Don and Bobbi Hopkins made home visits to follow up the water filter project with Josefina Santos. This is a cooperative effort between 3 non-profits, (CareLink, Water With Blessings and HGW) to educate women about the need for good hygiene, and clean water. After attending a 3 hour education session, they are given a Sawyer water filter and 5 gallon bucket and are encouraged to filter their own water and that of a neighbor if possible. This program began in March of 2018 with the distribution of 45 filters in 3 different communities. Don and Bobbi found that women are very pleased with their filter and are taking appropriate care of it. The women have noticed less water born illness, and have saved money by not having to buy bottled water. None want to go back to life without the filter. HGW will therefore continue to support this very important effort as well.